Your opinion counts! 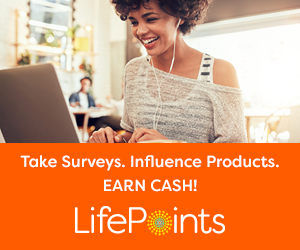 Join LifePoints where you can take a surveys and let your opinions be heard! For each survey you complete, you’ll earn points which you can redeem for rewards. There are tons of reward options to choose from too — prizes, gift cards, Paypal, and more! Sign up to Take Surveys with MyPoints! MyPoints is more than just a cash-back shopping portal. They’ll also pay you to take surveys! Sign up today! Sign up for Ipsos i-Say and Start Earning! 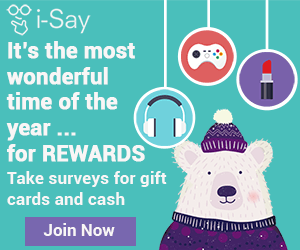 Check out Ipsos i-Say where you can take surveys and earn points that can be redeemed for gift cards, cash, or even charitable donations. It’s FREE to sign up!! Step2 is Looking for Toy Testers! If you’re interested, you need to get your application in by tomorrow! If you’ve got kids, then you’re going to want to sign up for this one! Step2 is looking for Toy Testers to try out some of their newest toys like the Zip N’ Zoom Pedal Car Head over here and get your application in before April 11th! Share Your Opinion with Consumer Opinion Institute! Sign up with Consumer Opinion Institute to share your opinion with businesses across the nation about products, services, and issues…your opinion can earn you cash and prizes just for taking surveys!